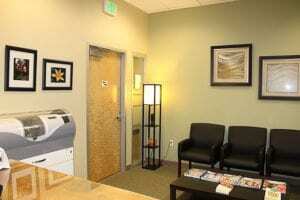 We are very excited to announce this gorgeous “mid-sized” general practice in inner NE Portland! The practice was established in 2014 in the new and busy multi-use building that houses it. It has enjoyed steady growth and is just hitting its stride. 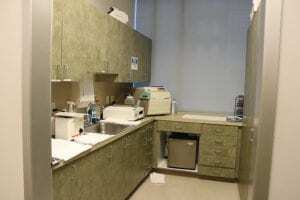 It is a fresh and spacious buildout with new A-dec equipment and Pelton Crane cabinetry. There are 5 operatories (4 are fully equipped), 3 team members, 900 active patients, Schick digital x-rays, digital pan, Cerec Omnicam, Denmat SOL laser, Eaglesoft software and much more. The new patient flow has been steady at 15-20 per month with very little marketing. 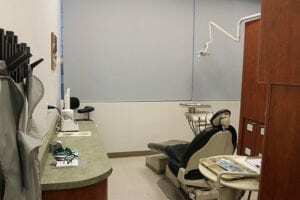 Referred out of the practice are oral surgery, difficult perio and endo, implant placements and ortho. The owner is forced to sell for family needs that require a move out of town. 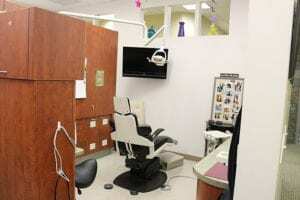 The clinic is 2,102 square feet. It is very attractive, light, open and spacious. 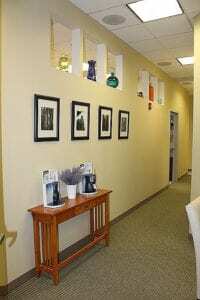 There is an inviting reception and front desk area, a consultation room, large private doctor’s office, a business office area, a lab, a sterilization room, staff lounge and beautiful cabinetry throughout the clinic space. The current lease is $5,076/mo. all-inclusive. The building is well known in the area with busy anchor tenants and plenty of parking. Collections in 2018 were $697,764 on 4 doctor days and 4 days of hygiene. Hygiene production was 27.79% of total production. 2018 adjusted net income was $261,292, 37% of collections. The 3-year average collections are $616,376. The buyer’s expected net income after debt payments is $174,097 at the current production level.